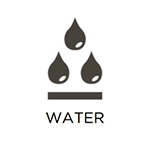 Water is the most common source of property damage in both residential and commercial settings. Excess moisture can find its way in a home or building due to a leak in the roof or foundation, leaking appliances and fixtures, burst pipe, flooding, or sewage backups. Water will quickly travel through absorbent materials and objects within the building which leads to structural damage, damage to your content, and eventually mold growth. Target Restoration provides water and flood damage restoration services for homes and businesses in Waco, TX. Our IICRC certified technicians and Master Water Restorers have over 100 years of combined experience dealing with all types of water damage in residential and commercial settings. We use advanced equipment and proven technology to fully extract the water and moisture and provide the needed restoration and repair. Each of our technicians at Target Restoration is licensed and insured to provide professional water damage restoration services and we are HIPPA-compliant to respect your confidentiality. Water damage scenarios can become unsanitary if there is mold, sewage, or contaminated flood water involved which is why we comply with strict health, safety, and legal requirements. We will also document the restoration process to help with your insurance claim. Excess water is so dangerous because it gets absorbed in woodwork, textiles, drywall, carpeting and other porous materials. Building materials that absorb the water can swell, warp, or rot which can lead to structural damage. Our immediate drying and restoration efforts will help minimize secondary damage such as rotting, structural damage, and mold growth. Evaluation: Upon arrival, we will evaluate the damage to your property and form a restoration plan based on our evaluation. 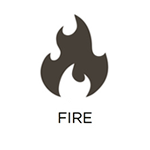 Drying: Our drying techniques are based on psychometrics, which is the thermodynamics of air and water vapor. We use highly sensitive moisture meters and moisture mapping techniques to find areas with excessive moisture. We then put industrial air movers in calculated locations throughout the property to create airflow with forced air circulation which extracts water from affected building structures and materials. Dry and Clean Content: Our technicians will thoroughly evaluate damaged items, building materials, and furniture to determine if they can be salvaged or not. We can provide on-site drying and restoration for damaged items, including delicate items like antiques and electronics. We will also use specialized drying techniques if needed in a residential or commercial property. Dehumidification and Moisture Control: It is just as important to remove the moisture from the air as it is to remove it from the affected objects and materials. 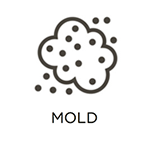 Excess moisture in the air can lead to secondary effects, such as mold growth. We remove moisture from the air with state-of-the-art moisture detection and psychometric measurements. Deodorization: Excess water or flooding can sometimes result in musty odors. We provide deodorization using ozone treatments and specialty equipment to remove these odors. 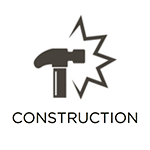 Reconstruction: As a licensed general contractor, we can provide full reconstruction services to repair structural damage caused by the water. 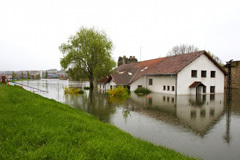 Indoor flooding that involves standing water can be very damaging to your property. If the flooding contains outside water, it is also likely to be contaminated. Flood water needs to be removed immediately to prevent serious damage and other effects from the unsanitary conditions. Our technicians at Target Restoration can provide effective restoration for any scale of indoor flooding. We will quickly remove the flood water and do an evaluation of your property to find hidden damage caused by the flooding. Natural Floods: Natural floods are caused by natural activities such as heavy rain, overflowing rivers, or excessive ground water and they typically contain organic contaminants. We can remove natural flood water and clean and restore the affected areas. Non-Natural Indoor Flooding: This type of flooding is caused by internal issues such as appliance leaks, pipe bursts, and sewage backups. When flooding like this occurs, it can affect structural elements of the building as well as the plumbing and electrical system. Our technicians will remove the water and provide repair and restoration of the damaged materials. 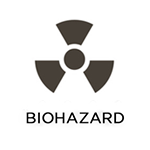 Sewage Backups: Sewage backups are extremely dangerous because they can spread infectious materials. We have the proper equipment and safety gear to remove the sewage and decontaminate the affected areas. If your home or business in the Waco, TX area has been affected by flooding or water damage, do not hesitate to contact our licensed professionals at Target Restoration. We have the tools and the expertise to remove excess water and provide effective drying and restoration services. We can also help manage the insurance claims process for homeowners and commercial businesses. Give us a call at (254) 730-4744 for emergency water damage restoration services from the leaders in restoration in central Texas.